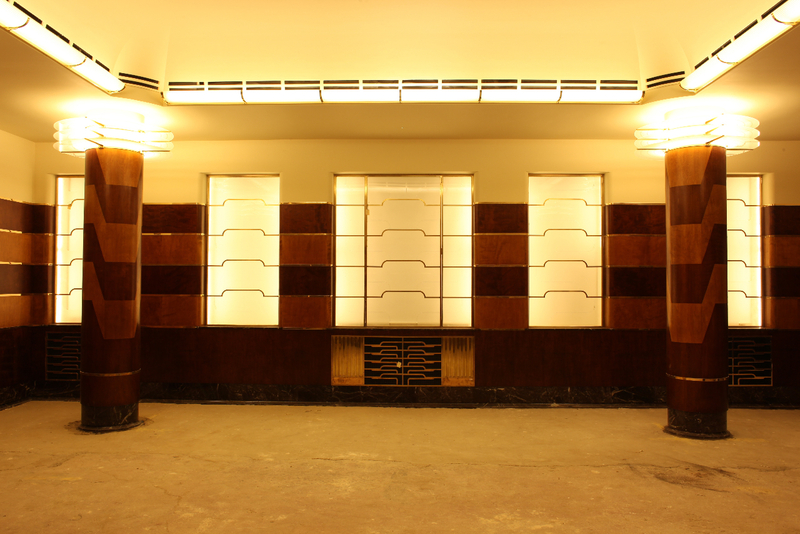 As part of The Crown Estate’s £1 billion investment to develop London’s famous Regent Street we restored and recreated light fittings in art deco style for the bars and restaurants in the mixed use development known as Quadrant 3. 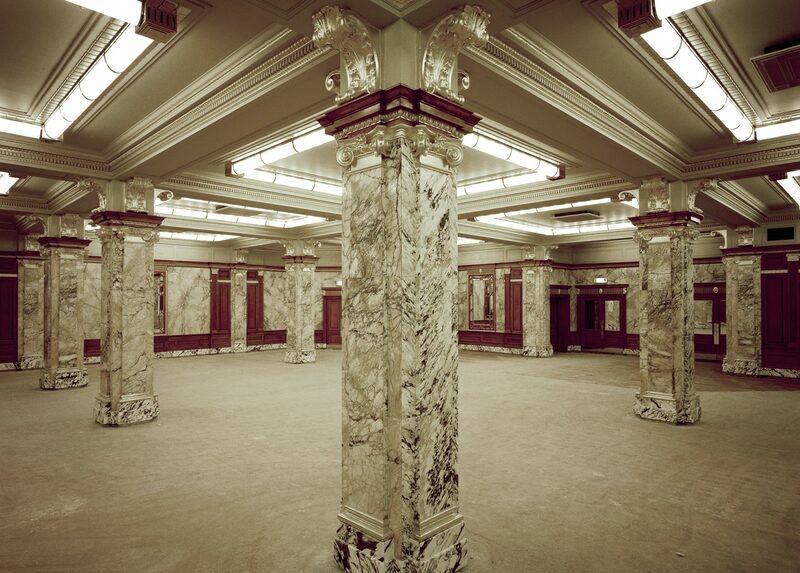 It was a complex project with the aim of producing light fittings that would help to take the bars and restaurants back to their original style when they were opened in 1915 as part of the Regent Palace Hotel which, at the time, was the largest hotel in Europe with 1028 bedrooms. Since then not entirely sympathetic changes had been made to the lighting and it was The Crown Estate’s intention to reinvoke the unique ambience of the hotel. Many of our team’s varied skills were utilised. 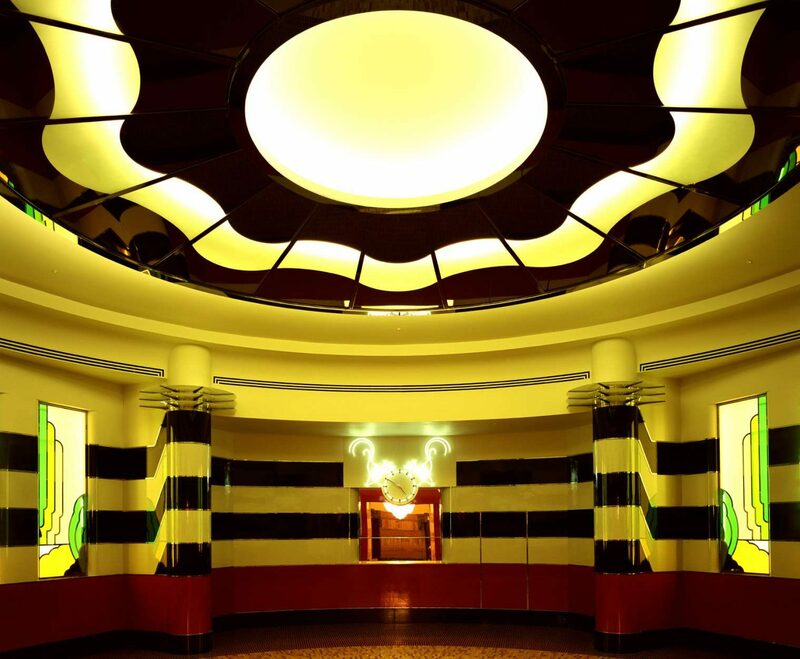 For example in the main restaurant three large oval lights made of cast aluminium and glass and eight u-shaped fittings required extensive renovation. Over the years various glass panels had been replaced leaving a mishmash of styles and designs which were removed and replaced, although they have been stored for heritage recording purposes. In order to replace the glass sections we first had to produce a variety of straight and curved moulds to produce the various sizes and types of glass panels required which were then installed in the restaurant.